We all know that sinking feeling as our computer coughs and splutters, before slowly grinding to a halt: it might not always be due to a full-blown virus, but it more than likely results from malware. A computer infection of any kind is an inconvenience at best; or a catastrophe if it strikes at the heart of your business. Somewhat ominously, Cisco recently reported ransomware growth at a rate of nearly 350% year-on-year, while malware and malicious viruses continue to pose an unprecedented threat on a near-daily basis. So, what simple steps can you take to protect your computer from a virus? The meekest advice, yet the most-often ignored; it is imperative all computers have trustworthy anti-virus software installed – and not just any old run-of-the-mill free bundle. Malware and computer viruses are becoming increasingly sophisticated. The situation requires a professional, paid-for solution to provide adequate protection that is actually capable of detecting the latest threats. But why pay for something you can get for free? And allows the user to run additional features; say, a custom scan in the event of a suspected virus. It is no use paying for an anti-virus software if you don’t update it. Your computer will remind you when an update is pending; so, please, run it. Viruses evolve in near-perpetual motion, and you can only stay protected if you keep up-to-date. The majority of viruses have an extremely short lifespan, but even so, they can infect upwards of 300,000 computers per day as users fail to stay protected from the latest threats. But by running software updates on a regular basis, even the most frequently-deployed malware will struggle to gain a foothold on your computer. Not all antivirus programs were created equal, and spyware protection does not always mean real-time detection. Free solutions generally only alert users to a threat once the computer is infected, which involves treating the symptom, not the cause. Whereas licensed anti-spyware systems actively prevent the virus from infecting the system in the first place, simultaneously removing existing infections – should one have already taken hold. You have the software, and it’s up-to-date. Now, schedule a scan to run at least once every week. The occasional threat could evade even the most robust anti-virus protection, but a scan will unearth any imminent threats. Yes, scanning the hard drive can slow the system’s processing speed, perhaps rendering the machine useless for a short period. But instead of closing the inconveniently-timed scan, schedule them at the end of your working day when you know you can step away from the machine. You can then come back to your computer in the morning, confident any threats have been isolated – and free to work without undue concern. Installing sophisticated threat detection is critical, but sometimes, your operating system can let you down. Fortunately, OS developers will frequently release a patch for any security flaw, so whether you run Windows, Mac OS, Linux – or any system, for that matter – stay current with the developer’s most recent updates. Many viruses will auto-install via an external hard drive, or any media device the user might attach to a computer. While auto-running programs can introduce the infection long before the unknowing carrier – or the anti-virus protection – finds time to do anything about it. So, disabling auto-run can avoid such a mishap. Similarly, a malicious email could use code embedded in a graphic to launch an attack via an action as simple as opening an image preview. 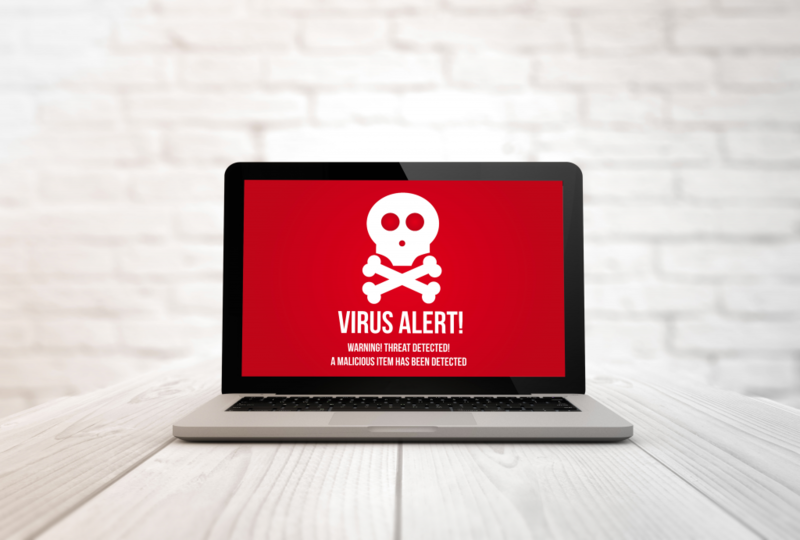 While you may enjoy the convenience of quickly scrolling through a colleague’s slideshow, the day a virus gets you will be an inconvenience too far. Even friends can be fooled into re-sharing infected content. It always pays to be wary of a too-good-to-be-true-offer; so, just delete the email. As with Step 7, we are all too trusting: if a site looks legitimate, we freely give up our information before we realize it’s too late. Fortunately, the latest anti-virus protectors can sniff out a fake link quicker than our own intuitions – provided we’ve enabled the feature. Still, to avoid a personal data breach, always verify a website has the right security certificate (or SSL/HTTPS encryption) and never give up a password, an email address, or any sensitive information, unless absolutely necessary. Top Tip: Always avoid clicking links before adding personal information – as who knows who controls the redirect. To be sure a webpage is 100-percent legitimate, open a new browser window, enter the URL of the page, and press enter: now, you can be sure you are in the right place. The hardware-based firewall is an effective frontline of defense against all sorts of malicious exploits. However, many offices still choose to disable a firewall the moment employees struggle to connect to a printer; access a network; or carry out related tasks – and this could be digital suicide. All internet-connected systems are liable to an attack. Hence, all PC’s connected to the web must also have the added security of a robust hardware-based firewall. The internet-age has introduced myriad threats into the digital world, so we had to include one final level of defense. A benign-looking website can harbor malevolent intent; the innocent web surfer can unknowingly download a Trojan file; or, a DNS server can become compromised, redirecting a browser to an unknown address. Services such as OpenDNS can protect users against the most common phishing attacks, surfacing web-based threats long before they manage to do actual harm; thus, avoiding unwanted spyware. While you may need professional support to enable the service, the additional peace-of-mind makes it well worth the effort. Give us a call at (253) 584-5906 to let one of our tech support pros know. We're happy to help and only a phone call away. Worried About Hackers & Malware? Hundreds of businesses across the USA are now worry-free. For a limited time, we’re offering a Network Assessment or 1 hour of IT support to all new customers.